Window World of Pensacola offers financing options through the Window World Credit Card* Network for your home improvement needs. Securely connect to our online application for special financing with approved credit. 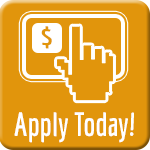 Enter your application information and receive a credit decision quickly. This program allows you to get all your windows today and pay over time. It can help you conserve cash without increasing your other credit card balances.